Home » Blog » What can machine learning do for me right now in marketing? 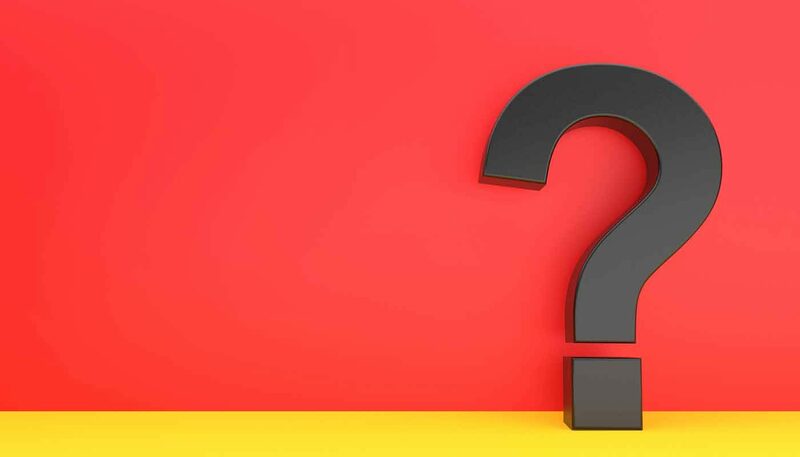 It’s no longer a question of whether machine learning is ready for marketing, it’s a question of whether marketers are ready to make the most of it. Yet, many practitioners still have mixed feeling about this much-hyped technology. Is machine learning still incubating or is it already in work places? In this post, we outline what is already being achieved with machine learning in marketing, along with some success stories. Investment in AI is high – this year, 84% of marketing agencies plan to implement or expand their AI and machine learning strategies. 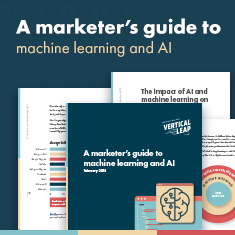 Machine learning may not be able to execute complete marketing campaigns with little to no human input just yet, but it is now capable of solving common bottlenecks and empowering marketers to focus on more value-generating tasks. How many hours per week do you spend working with data? My guess would be at least 6 or more, meticulously scrutinising the latest charts, reconciling the numbers from different tools and browsing through numerous reports. Data-driven marketing today is often preoccupied with gathering more and more analytics, when we should be focusing on better analysis. That is exactly the area where intelligent machine learning tools excel. Distilling useful information from a plethora of spoken or written customer accounts can eat up a huge chunk of your time. MonkeyLearn – a neat natural language processing tool – can do that job for you. The tool analyses all the incoming content from hundreds of different sources (email, surveys, support tickets, social media etc.) and helps you properly classify the messages. For instance, you could divide incoming emails from leads and from general users, or structure survey data to highlight information to be leveraged in marketing or product development. Staying observant and unbiased is hard when you are looking at the same data over and over again. When you are working with large data sets, it’s easy for the human eye to miss an opportunity or fail to spot a repeating pattern. ML-algorithms, however, don’t get intimidated with large piles of data or multiple metrics. In fact, the more data you ‘feed’ them – the better results you will get. Our proprietary platform, Apollo Insights, has been trained to track 500 individual dimensions and metrics, to produce relevant insights and to algorithmically prioritise them based on your current objectives. The data is updated in real time, meaning that you will always get the scoop on new opportunities critical for your marketing success, as well as receiving updates on your competitors’ progress. While CRM data tells you a lot about your target personas, a large fraction of customer buying behaviour remains untracked. In most cases, the reason for that is not the lack of proper tools – it’s the data silos. In fact, 37% of marketers admit that it takes them more than a day to access sources for analytics and to extract relevant insights. So how about enlisting an ML-algorithm to help? CaliberMind, for instance, enables you to match your ideal buyer personas to specific email addresses in your CRM. You can also visualise all of your current customers’ interactions and engagements with your brand, and use this data to align your content strategy and key messages. In a similar fashion, ML-algorithms can be trained to score all the incoming leads from different campaigns, identify the highest-ROI channels and suggest what content types and platforms you should ditch or develop further. Consumers expect brands to be authentic, relevant and timely on social media. 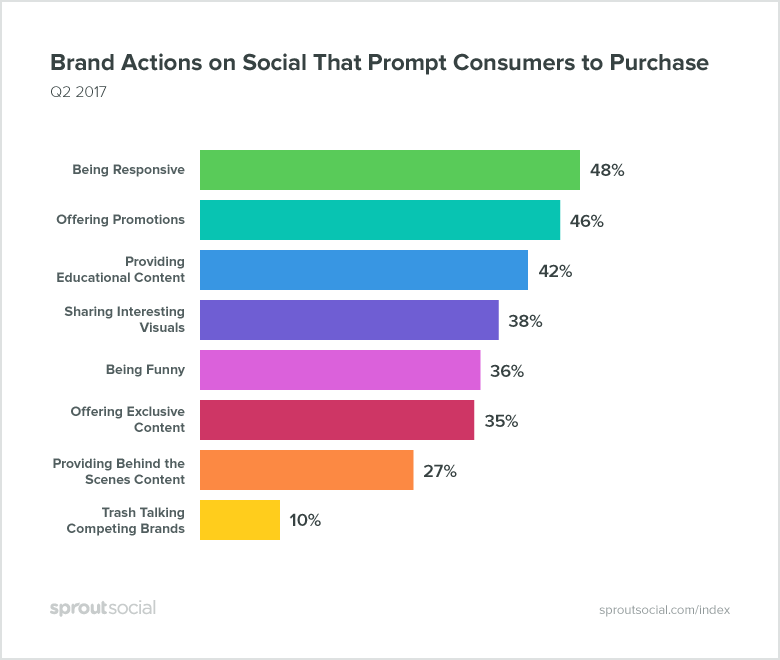 In fact, 48% of social media users are prompted to purchase by brand responsiveness on social media; 42% of consumers are more likely to open their wallets when a brand shares educational content and 46% are enticed by regularly posted promotions. Machine learning enables you to predict what kind of content will receive the most engagement and prompt desired consumer action. You can forecast what hashtags, slogans or images will generate the biggest buzz. ML-powered analysis allows you to study your audience’s behaviours and preferences over time and adjust your campaigns to target them on a more personal level. In that case, the system does most of the ‘thinking’ for you – you don’t second-guess what creative will work, you follow the prompts, backed-up by historic data and current trends. Real-time personalisation is crucial for succeeding in the current digital landscape. If your message does not instantly strike a chord with a prospect, it gets swiped past faster than you blink. So far 60% of marketers admit that delivering real-time personalisation to the customer remains a challenge. Trident Unlimited, a Brazilian snack brand, split-tested the performance of two different YouTube video ads in real-time. Using ML-powered analytics tools from Google, the company estimated that the second video delivered a 36% lift in brand awareness, 5% higher than the first video, and the ad recall was 97% – 23% higher than video #1. Adjusting the campaign in real time using smart insights saved this brand a lot of money! Showing up at the right moment increases the chances of your brand being chosen by the consumer. Machine learning can help you uncover the key micro-moments your customers are experiencing as part of their decision journey and suggest the best ways to approach them. Fiat has decided to re-enter the American market with a small city car – with rising gas prices the timing couldn’t be better. The brand deployed a set of desktop and mobile search ads for keyword variations like “small car” and “city car” to entice the prospects at the research and interest micro-moments. This resulted in a 127% increase in unaided recall. Machine learning isn’t all about delivering more personalised ads though. It’s capabilities stretch much further. Let’s use the car sales example to illustrate this. After clicking an ad, an interested customer is redirected to a personalised landing page – it shows the car configurations (colours, tech specs, customisation options etc.) available in the closest local dealership. If it’s snowing in the local area, the page also lets the customer know that this dealership is now offering discounted prices for winter tyres. This kind of personalised experience can be delivered with the help of Optimizely – a tool offering dynamic personalisation for your pages, based on the accumulated and analysed data it already has at its disposal. Next, our prospect browses for a while, studies a few specs pages, looks at the prices and modification options. They seem interested, but definitely not ready to convert. An ML-algorithm can segment such prospects and deliver a relevant pop-up to them suggesting they download “The First-Time Car Buyer Guide” or “The Small Car’s Savings Brochure”, depending on the behavioural patterns exhibited earlier. With the help of a platform like Phrasee you can optimise the language you use in your emails – from subject lines to call-to-actions – to ensure higher open and click-through rates. The platform’s smart algorithms will analyse all your current communications and pinpoint the exact wording that makes specific customer segments tick. Contemplating what content to send to those prospects? Ask Onespot to intelligently rummage through your owned and operated site and predict the type of content the prospect would be delighted to receive next. If you are tired of A/B testing your email campaigns and making sense of scattered analytics, Optimail algorithms can do that for you. The platform progressively learns from your data and self-optimises the timing, content and call-to-actions of each campaign based on the customer’s past preferences and responses. Furthermore, machine learning could be used to predict the likelihood of conversion after the prospect clicks your main CTA and suggest on-site areas for optimisation. Embracing machine marketing may seem like a big commitment, so build up a solid use case first. Choose a single area for improvement and and jot down your goals – for instance, reduce the time you spend working with data by 15%. Next, research the available solutions and see how can they compliment your current toolkit and whether they can help you meet additional goals such as operationalising a larger part of the current data. Experiment with different options and work towards configuring your own productive setup.